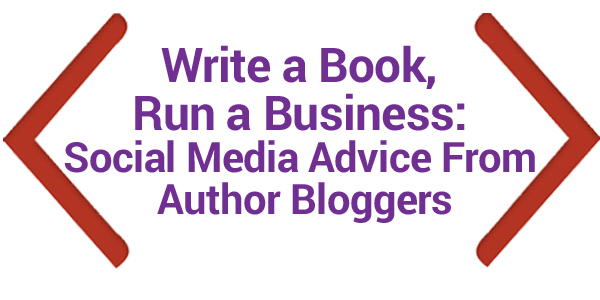 You have a 75% better chance of getting a book published if you already have a thriving social media platform. At least that’s the word on the street for first time authors, and truly authors in general these days. A social media foundation filled with followers takes time to build, as every good business person knows as well. Authors are generally told to start building that foundation at least 3 years ahead of their book release (or hope-to-be book release date). Yes three years! As a business owner and entrepreneur you already know the power of the platform. You are probably in the thick of it: engaging prospects, finding fans, and partnering with more powerful people in your niche to grow your reach. 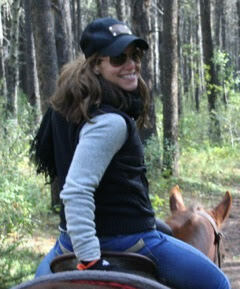 My business partner and I at bloggingyourbook.com teach authors the same, but there is so much resistance there! Authors want the book to speak for itself, they write so much each day the thought of writing more words seems almost impossible. Often they don’t acknowledge the power of the platform and say “Oh I will just self publish.” But an author is actually a mini-entrepreneur in training. I’ve never met a fiction author who wouldn’t want to support themselves solely by writing books, and as every entrepreneur knows, if no one knows about you you won’t make any money. So at Blogging Your Book we approach “building a platform” from a different angle in order to entice and cajole first time authors into seeing and doing what they don’t really want to do. Pick one platform and stick to it. We teach that blogging is the #1 spot to tackle first for authors as it establishes their presence in multiple ways. A blog showcases the authors background, personality and life which every fan wants to know. A blog establishes the author’s ability to write, their genre and quality of their book. A blog also works with an author’s natural talents of long-form writing. Which is key when consistency is the name of the game. So how does that translate to business owners? Pick one platform that showcases your natural talents, be it Instagram (photography), Twitter (short witty phrases), or Facebook (connecting with everyone as a friend). Because when you need to be creating and posting consistently, you want to like it more than just a little bit. Second: When in doubt use a prompt! Prompts are big in the writing world for many reasons. Prompts are helpful because they assist a writer in developing their creativity and idea generation. Which IS a muscle that needs to be exercised or it does atrophy. Prompts also take some of the fear out of “What if I say something dumb?” or “I have no idea how to connect with my followers today.” Looking at a daily prompt takes a lot of the pressure off of what to say and how to say it on social media. Prompts clear writers block. Writers block is real and very distressing when all you want as a writer is to tell that story…but you can’t! It’s stuck and won’t come together, the characters aren’t working, the timeline is off, something is A prompt can be a way to keep those juices flowing, or start them up again, just by turning away from the problem at hand and writing about something completely different and unrelated. Translation for business owners? Get help – use social media prompts! For a few years I worked with clients who just could never think of (nor did they want to) a thing to say on social media. So I created a prompt book for everyone who has ever had that issue. You can find it here. It’s an easy download and has enough prompt ideas for every day of the year! You can pick and choose or go day by day. Never feel stuck again. For wannabe professional writers who read about real life professional writers, the advice is the same: don’t wait until the muse strikes, keep writing! Plan ahead, do a little everyday and create a schedule for yourself. Just like everything else, even writing a book, needs attention at least 15 minutes a day to see progress happen. Some famous authors say: “Write one page a day”. Others swear by: “Write for 45 minutes a day.” Whatever the habit, whichever rule works for you: use it for social media too. At Blogging Your Book we teach how to schedule posts ahead of time, just getting started with titles and tags goes a long way toward getting that post finished faster. Translation for business owners? A plan always helps. Just writing down topics ahead of time and scheduling them into a calendar starts your brain working on the topic way ahead of time. Jot down notes here or there. So when you finally sit down to write that blog post or newsletter, the bones are already there. Taking the time to jot down Tweets in a spread sheet as you go makes it a hell of a lot simpler, and allows you to save time with bulk uploaders and schedulers like social oomph or hootsuite. Efficiency is key when you run a business AND when you write a book. See Karen’s great blog post HERE (link) on editorial calendars for some great advice on how to get started. To all authors and entrepreneurs my advice is the same: start building your platform today! With Karen’s expert help there’s no shortage of ideas and advice to get you moving one step at a time. And if writing is not your thing… hire one! There are a ton of starving writers out there that would love to help you talk about you and your biz. This is a guest post from Kate Traci. Kate Traci is a California raised beach girl at heart who now finds herself residing under the hot desert sun. Thankfully her sister has a pool. A writer by love she believes the internet is a place to be heard and started on an adventure that lead her to create KateTweets and Blogging Your Book where she helps others spread their amazing message online and off. Trying daily to coax clever words, her German Shepherd to fetch, and herself to the gym, Kate can be found patiently waiting for her next adventure under the star-filled desert sky. I really interested with the prompt boook, but when I click that link, I found nothing there. Where I can get one?